SanDisk’s 1-day sale on Amazon has a bunch of cool surprises, including a 1TB internal SSD that will breathe new life into your existing PC setup. Buying an SSD these days is not that expensive yet not cheap at the same time. And luckily, companies like SanDisk tend to throw in a deal from time to time, ensuring that everyone gets a taste of the latest tech without breaking their wallet. 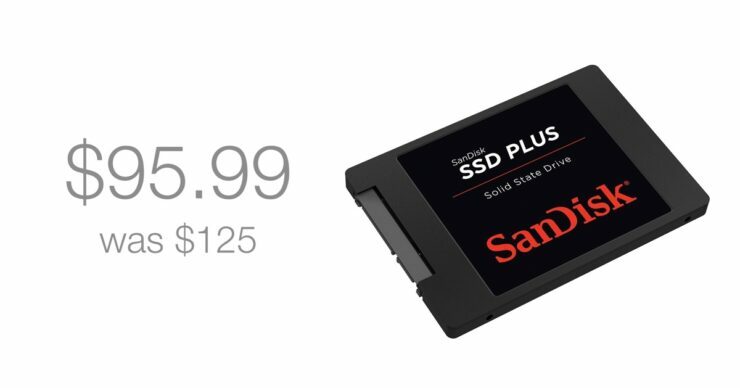 Today, as part of its 1-day sale over at Amazon, SanDisk is offering a ton of products on sale, including a 1TB internal SSD for a price of just $95.99, which is lightning fast. Obviously, you buy an SSD for speed and reliability and this product covers both. But, the price is where the party’s at. So head over to the link below and grab this deal if you want to rid your epic PC from its aging spinning hard drive.